Thanks to the Galatea Diving Cruises Seychelles, it’s possible to enjoy an exciting mixture of a ‘diving safari’ and underwater adventures; island-discovery and relaxation. Discover the incredible Seychelles islands from the sea! You’ll feel right at home on board this cruise, hopping around the islands across seven days. The cruise always begins on Saturdays from Mahé. 7 air-conditioned cabins with double bed and their own bathroom. Cabin with double bed, en suite bathroom with shower and individually-controlled air-conditioning, WiFi (fees apply, must be requested at time of booking), living room (with flat screen TV and HI-FI Sound System), outdoor dining table, two bars, tanning bed, sundeck, fishing space. After arriving at the Seychelles International Airport and taking the transfer to the Galatea, you will meet the captain and the crew for your cruise and set off to the north of Mahé by sea. The first dive will follow shortly thereafter at the north edge of Beau Vallon bay. The small granite island, Ilot, is the home of two coconut palm trees, and is surrounded by an incredible underwater world. After that, the boat sails further into Beau Vallon bay, enabling guests to see the beautiful sunset from the boats sundeck. Finally, the evening meal is served, and guests will spend the night in the same bay. Following breakfast, during which guests can enjoy the view of the peaceful Beau Vallon bay, the first dive of the day will take place near to the lighthouse. The scenery here consists of imposing granite boulders and enormous coral formations. Once back on board, guests will sail further along to the Cap Ternay Marine Park, where a second dive of the day awaits. Here is also where you’ll have the opportunity to discover perhaps the most impressive coral formations that surround Mahé. Regain your strength thanks to the on-board lunch, before spending the afternoon relaxing on Anse au Riz. Sit back and relax or try out a spot of snorkelling on the beach, before spending the evening eating in the Marine Park, before heading off to bed. An early departure towards some of the calmer areas of shark-territory between Mahé and Silhouette, where the ship will stop at the famous dive site of Shark’s Bank. Here, you’ll come face-to-face with an impressive landscape, full of enormous granite boulders and a particularly colourful underwater world. In the early afternoon, the boat will reach Cousine Island, where it is possible to disembark and visit the island, well-known for the presence of endemic bird species. Later in the afternoon, the boat will arrive at Praslin, where you can spend some time at leisure on the beautiful Anse Lazio beach before having dinner. You will also spend the night here. Depending on the season (from April to October), it is also possible to visit Aride Island. After an early dive, the rest of the morning is dedicated to a visit of the “Vallée de Mai” UNESCO World Heritage Site, which has managed to preserve its original state, allowing you to discover the Seychelles’ exceptional flora and fauna. There will also be time for a walk on the Cote d’Or beach, before continuing on to a barbeque on Curieuse Island, home to numerous giant tortoises. Take the time to try the 20-minute walk that will lead you to the Doctor’s House on the other side of the island. Here, a spectacular beach offers the chance for a refreshing swim. You will then enjoy dinner and sleep overnight in Curieuse Bay. This day is dedicated to island-hopping! In the morning, you will sail towards the southern tip of the Marianne Island dive site. Here, pointed rocks form the walls and pillars of an underwater maze, which attracts grey reef sharks. In the afternoon, you will sail towards Grande Soeur and Petite Soeur islands in order to enjoy two diving spots: ‘Sister Bank’ and ‘Coco Island’. The area is well-known for its quiet atmosphere and untouched wildlife, while also offering unforgettable landscapes. Enjoy dinner and sleep overnight around the Sister Islands. ‘Ave Maria’ is the name of the first diving spot of the day, right next to Praslin. Here, the enormous rocky formations surround a small island, forming vertical walls for you to swim through. The rest of the day is dedicated to visiting La Digue, an island where time seems to stand still, while traditions such as the ox carts stand the test of time. The traditional Seychellois architecture and the island’s incredible beaches, including the legendary Anse Source d’Argent, are an absolute must-see (entrance fee not included). You will then have dinner and sleep overnight here. Early in the morning, you will depart for a visit to Round Island, before continuing back towards Mahé. On the way between the two islands, you can enjoy the final dive of the tour at the Brissaire dive site. After arriving in the St. Anne Marine Park and at Cerf Island in the afternoon, there will still be some time left for the beach. Enjoy dinner and sleep overnight in the St. Anne Marine Park. Early in the morning, we will cross over to Mahé, where disembarkation is at 8am. Accommodation in a double bedroom with its own shower, WC, and air-conditioning. Full board: breakfast and two other main-meals each day (buffet or set-menu). Tea, coffee, and water (free all day long). 1 diving instructor and 7 or 8 crew members. Use of 12-litre aluminium tanks (DIN and INT), inflation station, weights, and harnesses for diving. Use of equipment for snorkelling, kayaking, stand-up paddle boarding and fishing. Entrance to the marine parks, harbour fees, taxes. Entrance fee for the Vallée de Mai. Drinks (other than those named above). Island tours and bike rental on La Digue (the visit to the Vallée de Mai on Praslin is included in the price). WiFi (fees apply; must be requested at time of booking). Get to know some of the most beautiful diving spots in the Seychelles during your tour, many of which are impossible to spot from land. Divers can choose between booking different diving packages of between 1 and up to 15 dives, depending on preference (additional fees apply, see below). Non-certified divers will have the possibility to book introductory dives and certified diving courses. During the safari, it is possible to book additional dives, including night-time dives. Guests who are not certified divers and do not want to participate in a course can, nevertheless, take part in numerous other activities, including snorkelling, fishing, kayaking, and paddle boarding. Groups of up to 14 people can charter the Galatea for exclusive use. The ‘diving safari’ of the Galatea Diving Cruises Seychelles offers space for up to 14 people, who will stay in the seven tasteful, air-conditioned cabins, which offer a double bed and a small en suite bathroom each. Comfortable double cabin (main deck) with kingsize bed (200cm x 180cm - 6 ft bed), bathroom with shower and double wash basin, WC with wash basin and bidet, individually-controlled air-conditioning, TV, WiFi (fees apply), safe, ocean-view. Comfortable double cabin with queensize bed (200cm x 160cm - 5ft bed), en suite bathroom with shower, individually-controlled air-conditioning, WiFi (fees apply). Comfortable single cabin with queensize bed (200cm x 160cm - 5 ft bed), en suite bathroom with shower, individually-controlled air-conditioning, WiFi (fees apply). 30m metres in length with diving platform, 6.20 metres wide. *Stay must fall within 6 months of wedding date. *Copy of wedding certificate required. Cabin Charter Cruise departures are only guaranteed with a minimum of 8 participants. If the minimum number of participants is not reached, the cruise can be cancelled until 45 days prior to departure. Requirement to take part in the dives during the cruise: PADI Advanced Open Water Diver course, or an equivalent. Non-divers who wish to gain initial diving experience may be able to do so at the instructor's discretion. This decision will be made on-site. It is not recommended that divers begin their experience during a diving cruise. Introductory packages, as well certified diving courses, are available to booked for beginners. Please contact our sales team for further information. It is possible to charter the boat for special destinations and itineraries, outside our normal programme and outside Seychelles territorial waters. The additional relocation costs of the vessel are added to the cost of the vessel. This will depend on the normal programme location of the vessel both before and after the reserved charter. The price of the relocation will be communicated to the client before the deposit is made. In case of modifications to the itinerary, additional fuel costs may incur. 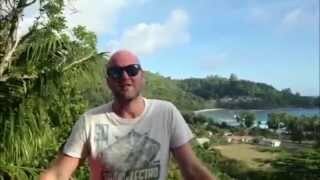 Booking for Yacht "Galatea Diving Cruises Seychelles"